Mr. David Gaines was appointed as the assistant band director at Lindley Middle School during the 2017-18 school year. Before coming to LMS Mr. Gaines taught in Fayette County at Bennett’s Mill Middle School. Bands under his leadership consistently received superior ratings at Performance Evaluations and students were annually awarded membership in the District Honor Band and All State Bands. 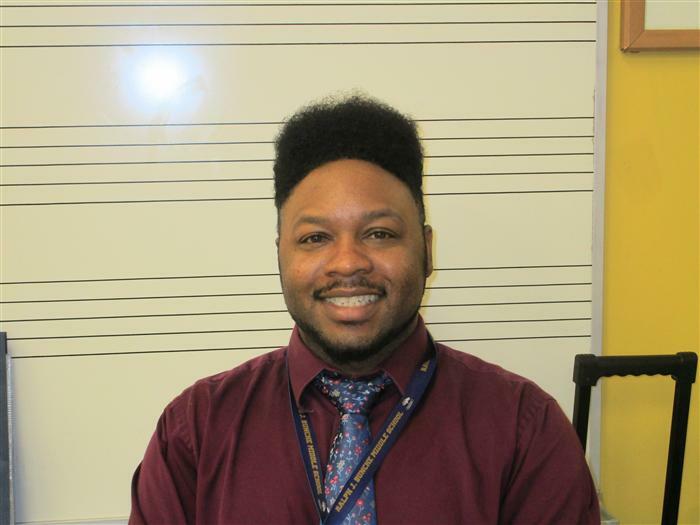 Mr. Gaines is a native of Ohio and attended Youngstown State University in Youngstown Ohio where he studied saxophone and received his Bachelor’s Degree in Music Education. He also studied conducting with Dr. Robert Ambrose at Georgia State University. Mr. Gaines is currently working on the completion of his graduate degree at VanderCook College of Music. As a performer Mr. Gaines has performed as a soloist and also performed in local ensembles and Broadway Shows. Mr. Gaines is a member of the Georgia Music Educators Association (GMEA) and National Association for Music Education (NafME). In his spare time Mr. Gaines enjoys the great hobby of Model Railroading.